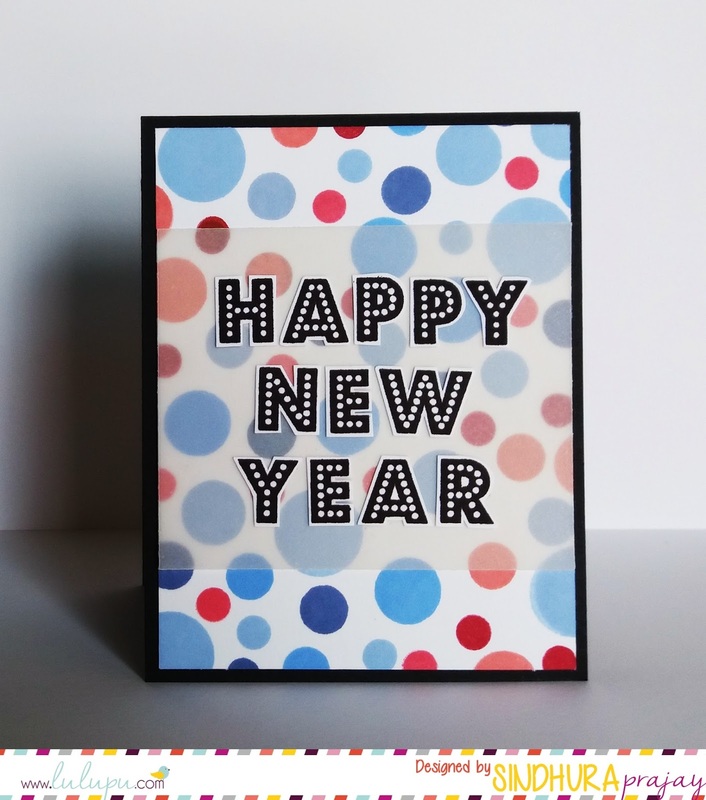 Lulupu - The Craft Lounge: Happy New Year and a giveaway!! Beautiful card. I love the burst of colors and the use of vellum. Thank you! I wish you a great year ahead..
Nice card Sindhura...Love the use of vellum..
Wishing you a Happy New Year ahead..
My New Year Resolution would be to do crafting in a more organised way and expanding my crafting horizons.. I neither keep new year resolutions, nor follow any if in case I did. But Yeah wish for a better year for all. NY resolution for 2017 is to create my happy place in all aspects of life. Simply so beautiful and elegant card Sindhu! Wishing you a very Happy New Year ahead! 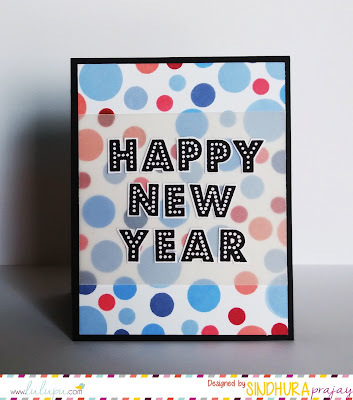 I don't have any resolutions but I want to learn more new techniques and more crafty goodness! A bold and Beautiful card! My new year resolution is indulge into crafting more than what i did in 2016 and get into sports for de-stressing and reading more novels that I have been missing for the last two years! Superb creation as always Sindhu..Happy new year.. my resolution is to enhance my crafty skills more by taking inspiration like you people. Thanks for always sharing beautiful work..
Coming to my resolution.., want to learn more techniques and mainly want to learn mixed media.. I haven't made any new resolutions this year as there is a backlog of previous ones piled up behind me....But definitely expect a better, more enriching, more knowledgeable and a more experienced Crafty year ahead! Wish u all the best too!! Such a Beautiful card Sindhu!! My new year resolution is to start making Christmas cards early this year. I'm following the lululpu blog and your blog.